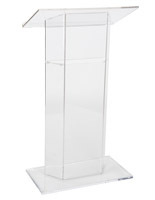 Purchase a Lectern With Assurance Of Prompt and Quality Service From Us! 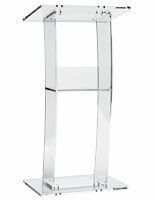 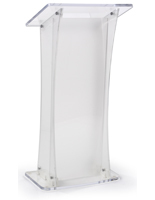 This Podiums Clean Lines & a Silver Engraved Logo Equal A Professional Appearance! 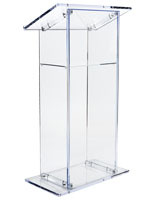 Large Top "CV" Acrylic Podium - A great update to our CV line. 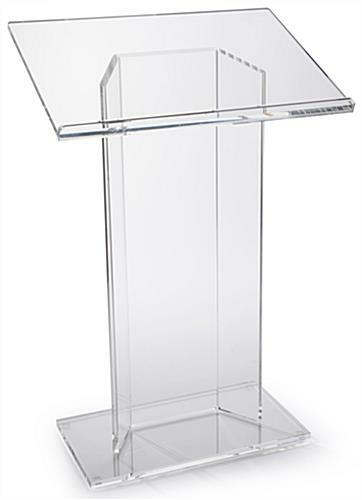 This will look great in any for churches, lecture halls or any meeting place. 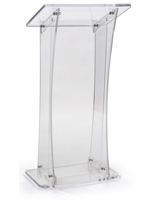 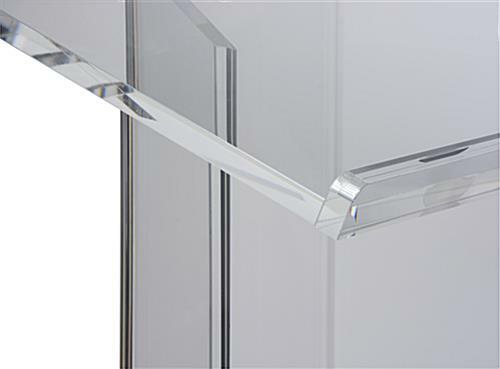 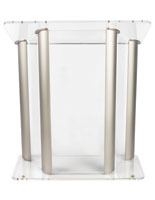 The 3/4" clear acrylic gives this podium a futuristic feel, while the simple elegant styling holds it down to earth. 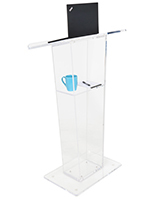 The generous reading shelf is an update to our standard CV series giving readers the more room they wanted. 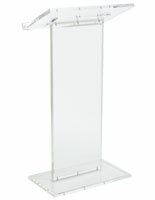 With an overall height of 48" this acrylic podium will let any speaker take command of their presentation. 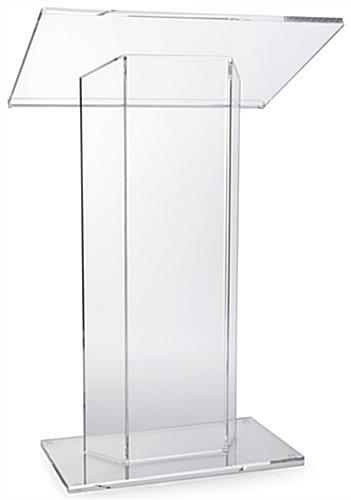 31.5" x 48.0" x 21.0"